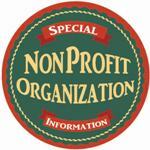 Throughout our history, nonprofit organizations have been a significant part of our business. We know what it takes to help an organization prosper. Is your mailing list up to date? As part of our service Sharp Printing compares your list of members/donors etc. against the US Postal Service move records. Looking back 4 years we find many new addresses, saving you potentially wasted printing and mailing costs. But more importantly keeping your valuable donors or members! Don't let your list dwindle away! 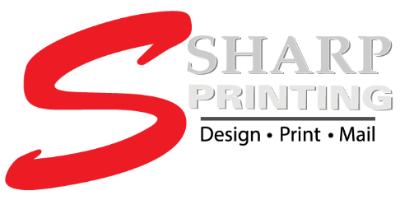 Sharp Printing specializes in mailing items that we print. We can use your permit or ours, using USPS approved software to get the lowest possible postage rate, as low as 9.9 cents in some cases. Need a fund raising letter sent to your past contributors? We can personalize each letter with a suggested donation level, based on that individual’s history of giving. Some organizations update member’s information or bio when renewing their membership, we can print renewal applications personalized with each members info, ready for their review and correction if necessary. Is there no one in your organization with time to produce a newsletter? Just type your articles and email or fax to us, we’ll layout your newsletter, print and mail. No fuss, no hassle. This can be a great benefit to your organization when officers change or volunteers transfer duties, we’ll keep the communication flowing smoothly. For more information on services that can help your organization and save valuable time, select from our Products & Services link below. For information on payment terms and setting up an account, click here. View MORE products and services. Sharp Printing reserves the right to limit awards or discontinue the program at any time, without notice. If your organization is interested in applying for our Award Program, download & fill out the application here. Award decisions require 4 weeks and cannot be applied retroactively.